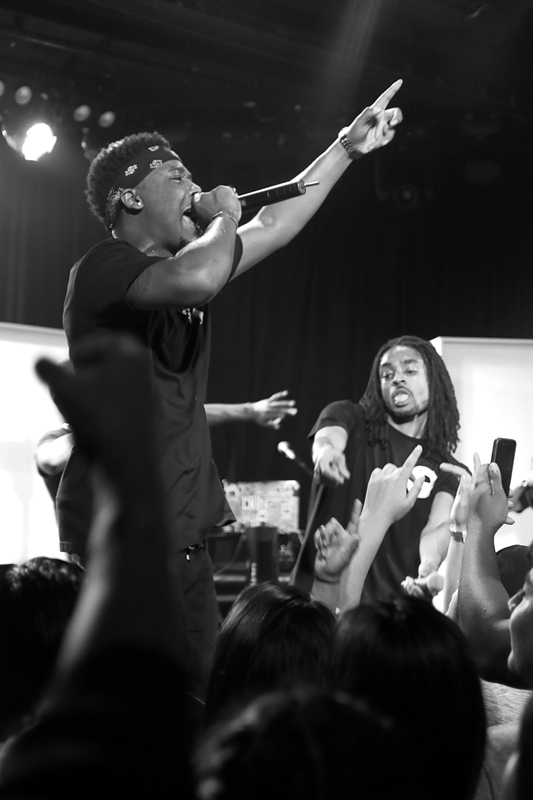 The expectations for a hip-hop protégé have always been unfair and lofty. Fans often hope the pupil has soaked up just enough of the mentor’s know-how and creativity while also craving different risks and a new wrinkle to the story that has captivated their attention. Nevertheless, the game is not based on sympathy. 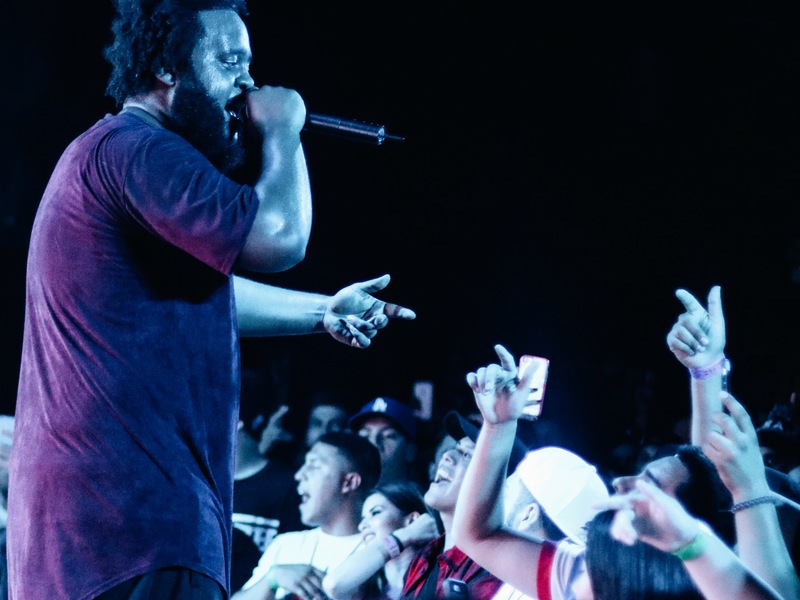 And lucky for Bas, the Queens, N.Y.-raised rapper signed to J. Cole’s Dreamville Records imprint, reveling in self-awareness with rangy detail appears to be his greatest attribute. 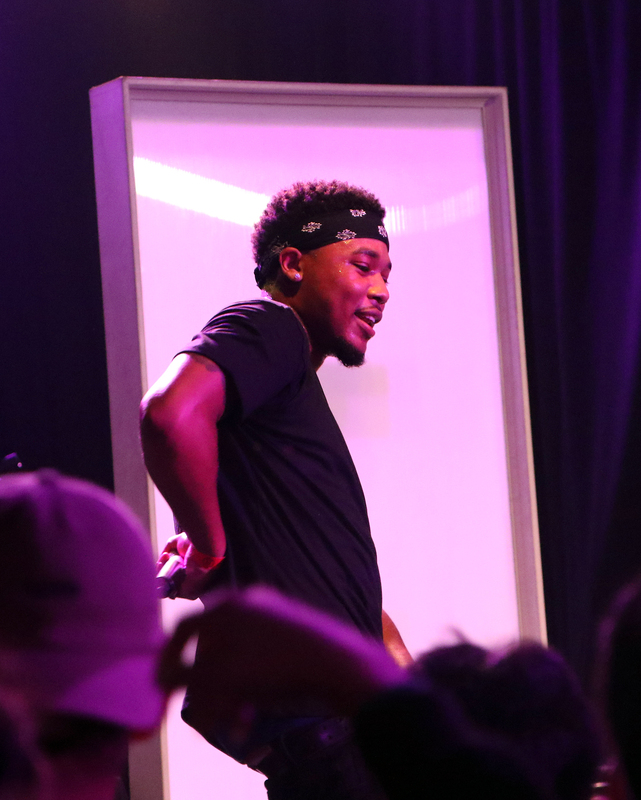 For every apprentice that becomes Snoop Dogg under Dr. Dre’s wings, there are countless contemporaries that go the way of Jay Z’s Memphis Bleek. The second-in-charge star vs. the promising and hungry upstart who never quite materializes commercially. Where Bas (born Abbas Hamad) eventually lands aside North Carolina’s prodigal son still remains to be seen. 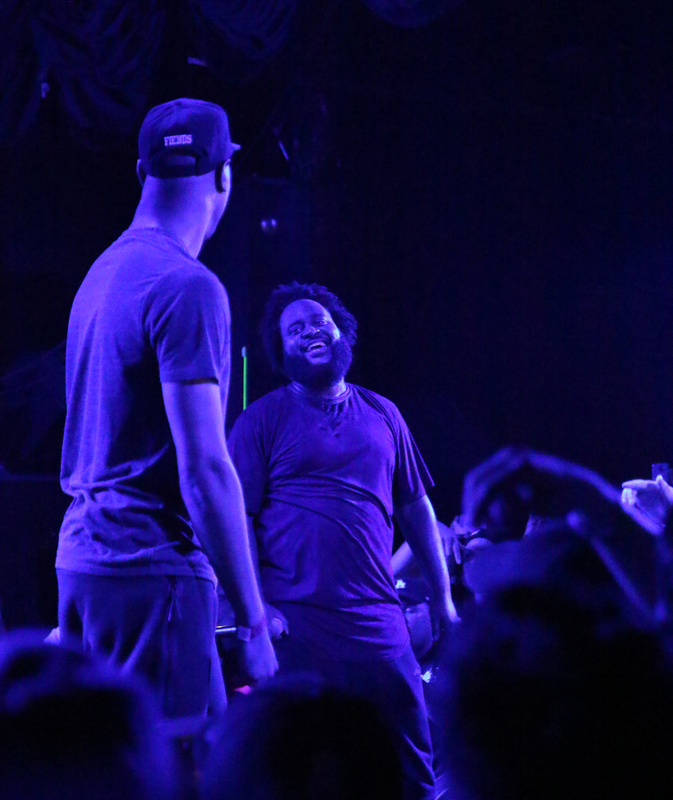 However, after carrying his mindful thoughts in a workmanlike fashion into a sold-out Roxy Theatre last Wednesday in LA, it’s clear that the 29-year-old emcee has no plans of letting his inebriation with success — and its subsequent effects — stagger his straight-lined momentum. There’s unrelenting, surface-level music that you listen to in a hyped-up state while you’re on your way to the club, and then there’s music you listen to while you reflect on the ride home. 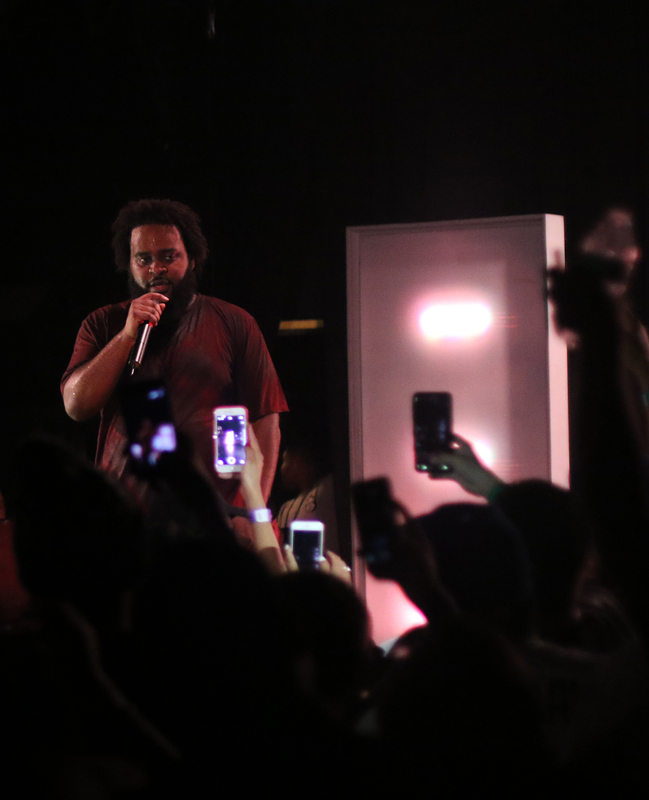 Sonically, Bas, similar to J. Cole, is mostly backed by hypnotic, darker sounds peppered with bits of warmth and place his projects in line with his mentor. Be that as it may, his youthful admirers won’t let you believe there are many lulls in his journey. 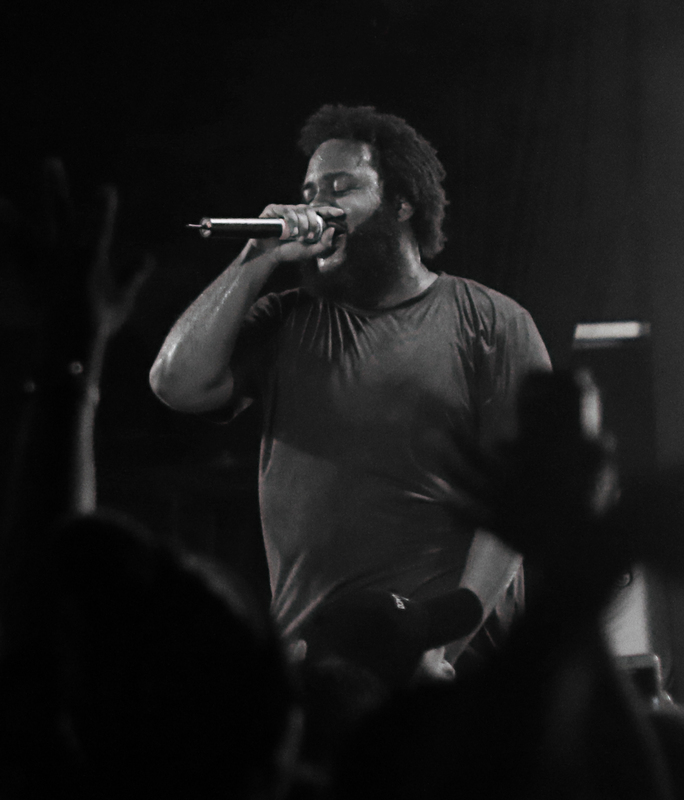 From “Too High to Riot”, the pensive title track on the follow-up to his 2014 debut Last Winter, to the breezy “Clouds Never Get Old”, Bas’ ever-loyal “villains” showered their appreciation onto him for his personable showmanship — so much so that he was able to reverse the roles and play the fan during “Night Job” with the crowd reciting the verses verbatim as he let the microphone rest at his side. 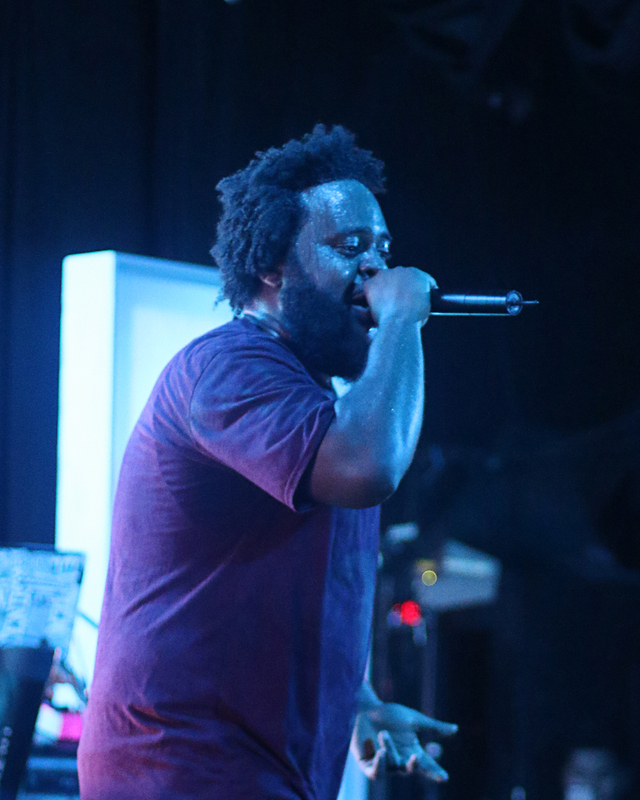 Sporting a beard as burly as his physique and the portions of his subject matter, Bas is an adversely light-footed performer with lots of jumping, smiling and promises that his fans’ newly purchased vinyl would be signed before they left for the night. All of that, of course, was sandwiched between his unique storytelling. Every good story deserves a few surprises, though, and Bas was more than happy to keep up with tradition as some of his running mates and friends were also at the diminutive venue. 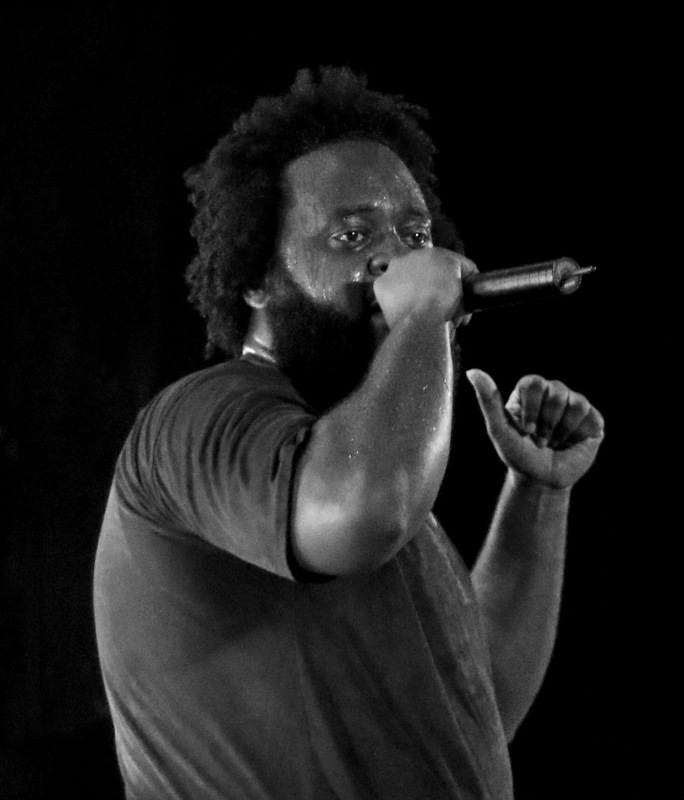 London electronic quartet The Hics provided some soulful pleasantry to Bas’ inner battles. 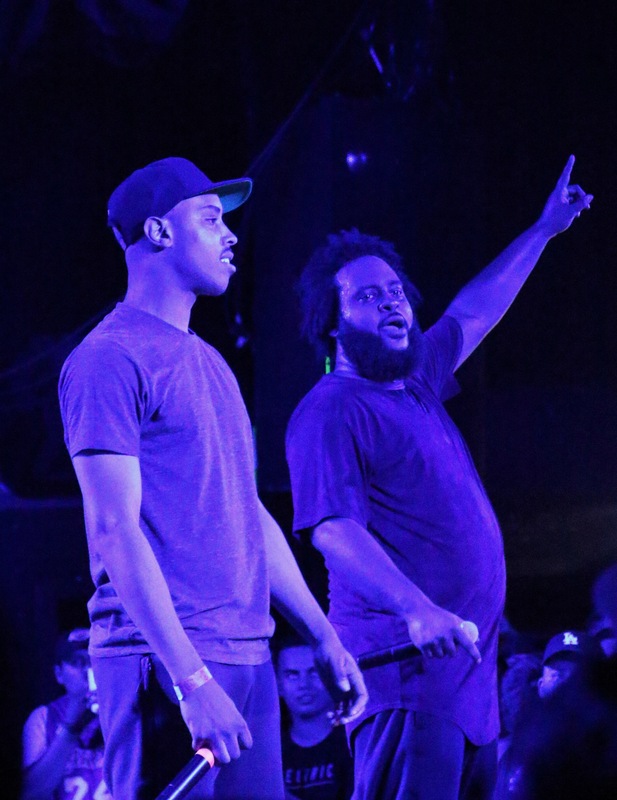 Additionally, the Dreamville crew’s veteran, Omen, delighted the audience with “48 Laws”, his standout track from the label’s 2015 compilation Revenge of the Dreamers II before Cozz, the South Central rapper also signed to Dreamville who performed his own opening set at The Roxy, re-appeared alongside Bas to continue building on his raw, growing confidence with his notable verse on the spirited “Tabs”. 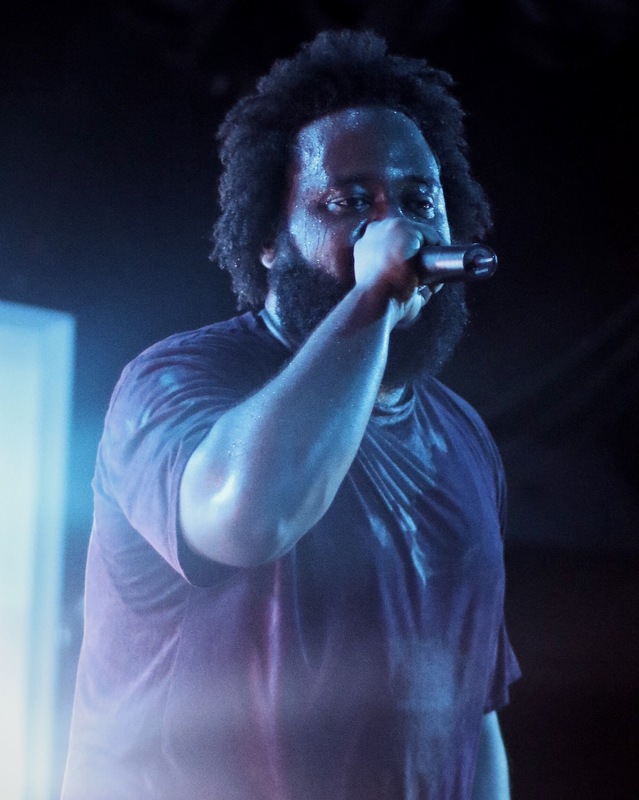 Where the demands of being next up naturally weigh the most, Bas seemingly welcomed the opportunity to improve and chase history in front of the disbelievers and fellow dreamers. 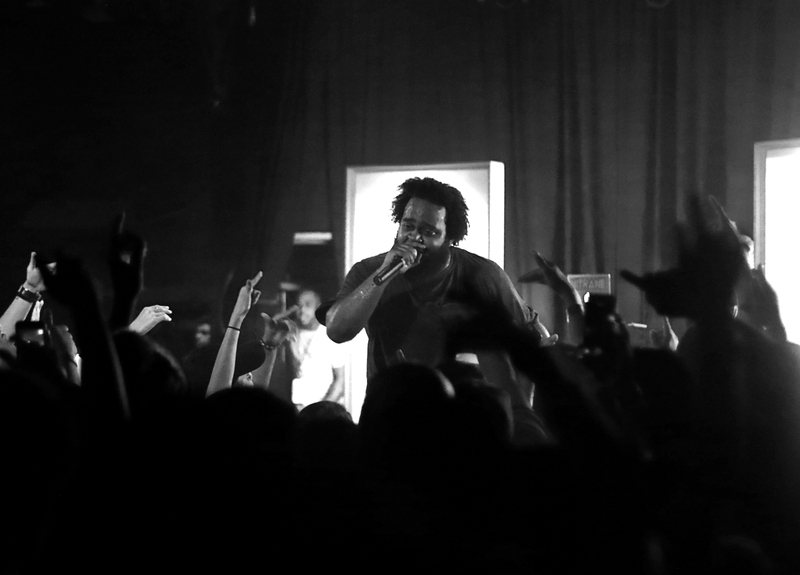 His “Too High to Riot Tour” stands as a chance for him to move the scope beyond just “making it” and inward toward everything, from life’s ills to racial injustice and an overall celebration of life through his eyes. 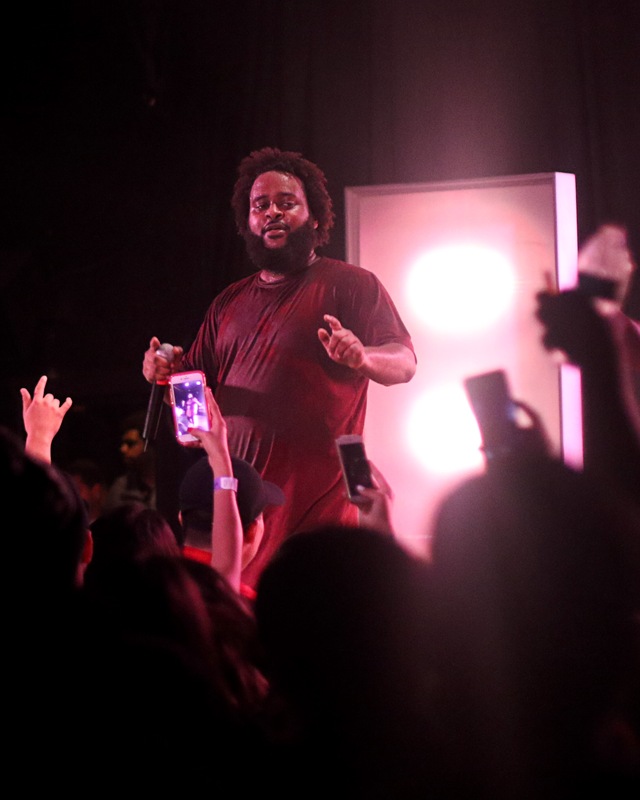 If the chants for an encore during the LA stop on his nationwide tour were any indication, he’ll have some devoted fans supporting him as he continues to grow.